The Long Anticipated Return of NKB! It’s almost here! Nochi Krohn’s long awaited follow up to the critically acclaimed “Ananim” is almost due in stores. 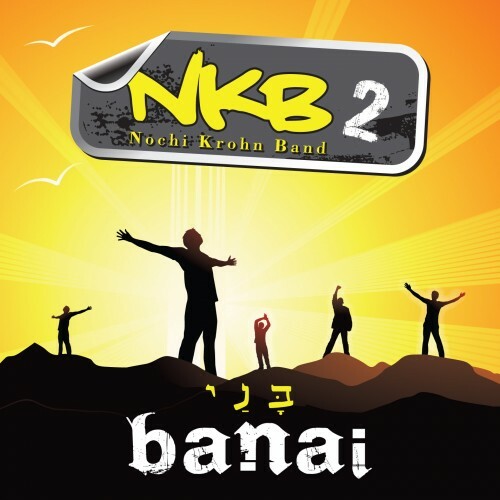 NKB2, or “Nochi Krohn Band 2” is in the final mastering stages of production. The cover (pictured below) is done, and the release date is almost upon us. The Nochi Krohn Band is a group of very talented musicians and singers, who collaborate to make great positive music. Banai is a robust album filled with life and raw emotion. ALL the songs and arrangements are very musical and diverse. Five years of recording and experiences makes Banai a truly wonderful unique blend of sound and feeling. This album is sure to connect with you in more than just an entertaining way.